Bike lanes created using physical barriers are safer than those that just use paint alone, an Australia study found. Cyclists who swear that drivers come too close to them when they are using designated bike lanes — yet give them more room when there is no marked lane for bikes — are not imagining it. Researchers in Australia were able to prove it. The researchers also found that physical barriers, not just lines painted on the road, do the best job of keeping cyclists safe. The study was published Thursday in the journal of Accident Analysis and Prevention. The researchers collected data from 60 cyclists in Melbourne using a custom device that measured the distance between motor vehicles and passing cyclists. The bicyclists recorded 422 trips and passed more than 18,000 vehicles. What they found was that when drivers encountered cyclists riding on a road with painted, on-road bike lanes alongside parked cars, they drove a little closer than when there was no bike lane or parked cars. When cyclists and drivers share a lane, drivers tends to give them wider berth, as they would when they are passing another car. But when there is a marked bicycle lane, the driver may not think to leave extra distance between their car and the rider. “Our results demonstrate that a single stripe of white paint is not sufficient to protect people who ride bikes,” said lead author Ben Beck, a epidemiologist and trauma researcher at Monash University in Melbourne. The researchers recommended more investment in infrastructure that uses a physical barrier to separate bike riders from drivers. The results did not come as a surprise to Randy LoBasso, policy manager for the Bike Coalition of Greater Philadelphia. LoBasso said bike lanes created with physical barriers should be the standard. Cyclists are safer when they are not subject to moving vehicles and parked drivers who open doors without looking for cyclists, he said. There are other reasons for protected bike lanes in addition to safety to consider, he said. Having more cyclists on the roads helps reduce traffic congestion, reduces the riders’ carbon footprint, and creates safer passage for bike riders, and the safer lanes can encourage more people to use bicycles, he said. People are not encouraged to ride bicycles when they would be next to fast traffic, he said. 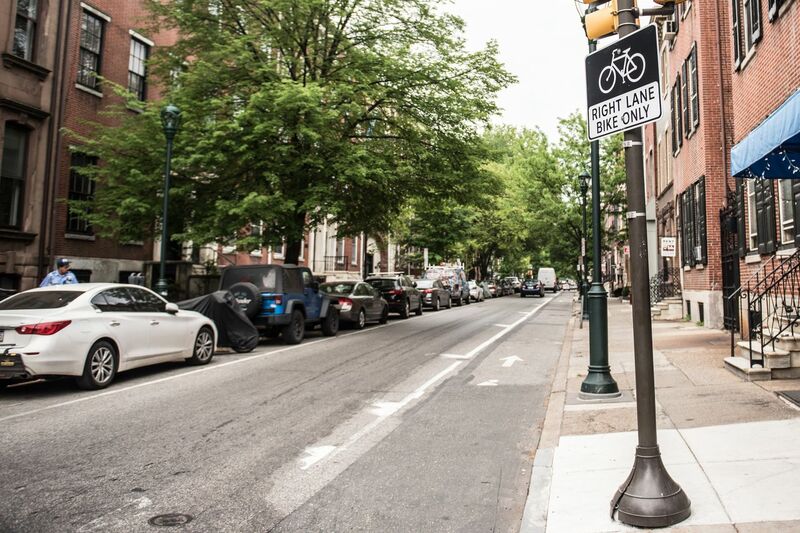 Philadelphia has protected bike lanes on Market Street and John F. Kennedy Boulevard from 15th to 20th Streets. The lanes put parking spaces between cyclists and traffic, and have helped to slow traffic on the busy arteries. Another stretch of Market between Second Street and Sixth Street recently received $3 million in funding from the state for protected bike lanes. “We are seeing more and more plans for protected bike lanes, but they are not happening fast enough," LoBasso said. Currently, 11 proposed lanes are being discussed in community meetings, he said.